By: Nancy L. Mace M.A., Peter V. Rabins M.D. M.P.H. 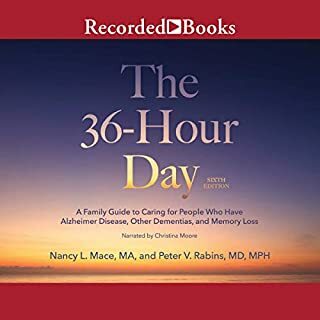 Through five editions, The 36-Hour Day has been an essential resource for families who love and care for people with Alzheimer disease. Whether a person has Alzheimer disease or another form of dementia, he or she will face a host of problems. The 36-Hour Day will help family members and caregivers address these challenges and simultaneously cope with their own emotions and needs. Featuring useful takeaway messages and informed by recent research into the causes of and the search for therapies to prevent or cure dementia, this edition includes new information. I found this book both interesting and helpful! Imagine finding a glimmer of good news in a diagnosis of Alzheimer's. And imagine how that would change the outlook of the five million Americans who suffer from Alzheimer's disease and other dementias, not to mention their families, loved ones, and caretakers. 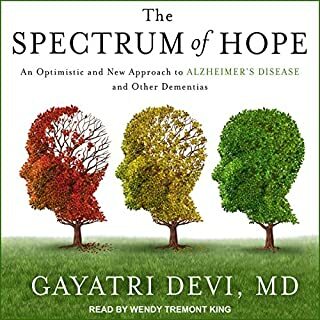 A neurologist who's been specializing in dementia and memory loss for more than 20 years, Dr. Gayatri Devi rewrites the story of Alzheimer's by defining it as a spectrum disorder - like autism, Alzheimer's is a disease that affects different people differently. Over three million people are diagnosed with Alzheimer's every year in the US. Alzheimer's affects the entire family. A diagnosis of Alzheimer's can be confusing and devastating at the same time. 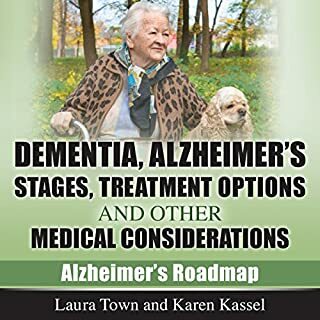 Author Laura Town's personal experience with this disease, and co-author Karen Kassel's pharmacology background, make them the perfect team to unravel the mysteries of Alzheimer's. Diagnosed with a disease that can't be reversed? Learn how to keep living life to the fullest. Have you received a terminal or chronic diagnosis? Can you ever find joy, peace, or fulfillment in these challenging conditions? The answer is a resounding yes. 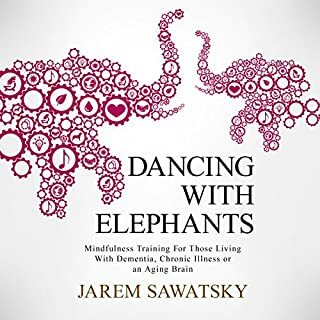 When author Jarem Sawatsky was diagnosed with Huntington's Disease, he found there were no guides for those living with incurable illness. He quit his job as a professor and devoted his life to exploring the possibilities of living with chronic conditions. Now he's bringing his findings and insights to you. After fighting through the medical system and depleting her parents' life savings and much of her own, Marcell solved her eldercare nightmare medically, behaviorally, legally, financially, and emotionally-and shows you how you can too. Elder Rage answers difficult questions such as how to get obstinate elders to: discuss long-term care options, accept cleaning and caregiving help, see different doctors, and and teaches you how to manage stressand grief. Wendy Mitchell had a busy job with the British National Health Service, raised her two daughters alone, and spent her weekends running and climbing mountains. Then, slowly, a mist settled deep inside the mind she once knew so well, blurring the world around her. She didn’t know it then, but dementia was starting to take hold. In 2014, at age 58, she was diagnosed with young-onset Alzheimer’s. In this groundbreaking book, Mitchell shares the heartrending story of her cognitive decline and how she has fought to stave it off. A diagnosis of dementia in a loved one can be both frightening and frustrating. Only a biblical foundation fuels a Christian response that both honors the patient and glorifies God. Drawing on years of professional experience working with Alzheimer's patients, Dr. John Dunlop wants to transform the way we think about dementia. 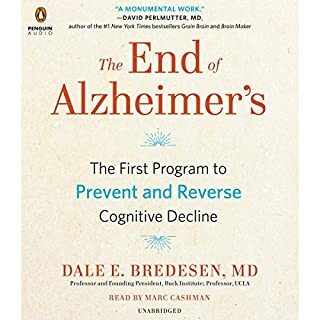 Through rigorous clinical studies and research helping thousands of patients, Dean and Ayesha Sherzai - neurologists, researchers, and codirectors of the Alzheimer's Prevention Program at Cedars-Sinai Medical Center in Los Angeles - have uncovered the key lifestyle components contributing to this worldwide epidemic. They've also developed a solution - The Alzheimer's Prevention Program - to help you and your loved ones avoid developing this terrible disease and even reverse cognitive decline. 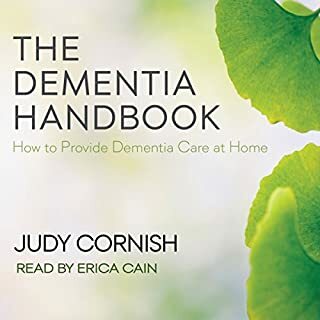 Read by Dr. Peter Rabins, this unabridged audio version of the definitive guide for people caring for someone who has dementia features chapters on the causes of dementia, managing the early stages of dementia, the prevention of dementia, and finding appropriate living arrangements for the person who has dementia when home care is no longer an option. 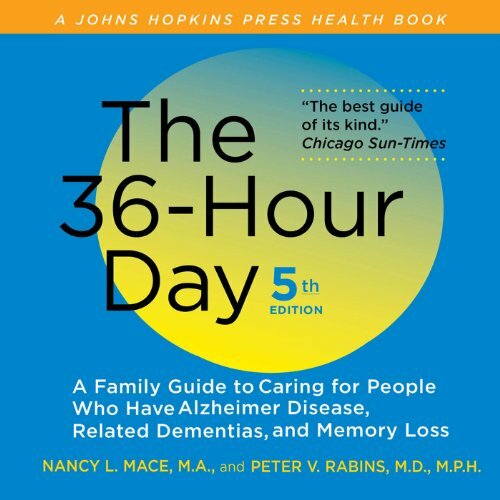 36-hour Day is absolutely required reading if your friends or family members are having severe memory problems. It took me months to finish it the first time because the content was depressing. I read the most pertinent chapters first, then others when I was ready to absorb the information. I've since heard or read the book twice more, absorbing more as my mother's disease advanced and as I wasn't as shell shocked by our situation. I recommend it to everyone - everyone. And I've given away numerous copies. Read it, then reread it. Really good information for people dealing with dementia in a loved one. The male reader is not great though, many words are slurred and his cadence is off. The female reader is great, but she only reads snippets. The book is not for me, I had hoped after some chapters it would me help me with health issues with Alzheimer's and dementia. It is not up to date at all. I would like to return it but the option is not coming up as with other books. Would you listen to The 36-Hour Day again? Why? In this case, I would prefer the printed version in order to highlight specific parts for further review. What was one of the most memorable moments of The 36-Hour Day? I just wish I had discovered this book when my dad was first diagnosed. We are now at the stage where a nursing home is urgent, but we could have been much better prepared if we had this information 5 years ago. The many issues covered, and with such sensitivity, are a huge help, even at this late stage of my dad's illness. I listened to it all the way through and will be returning to many chapters in the near future. Thank you for a valuable book! The 36-Hour Day was well read, easy to listen to and to understand. Just enough information was provided to make me feel educated but not overwhelmed. I would recommend this book. For anyone with a family member that has dimentia or alzheimers, this is a good book to take in. It is very repetitive at times between chapters, but it can help a care giver or family member some insight on how to deal with every day behaviors. I am the Caregiver of my life partner. He is in the early stage of stage 1 Vascular Dementia and also has multiple comorbidies . I found this book very educational and insightful. This is a very good book to refer back to as the disease progresses. A must read for any caregiver - family, nurse, friend, anyone - who want to learn more about how to deal with someone suffering with some form of Dementia. An eye opener of a book that delivers answers and opens the door to what the patient is experiencing. So much time asking "Why are they doing that?" or "I think they are doing that on purpose", these questions are finally answers along with tips on how to respond and what to expect. A true lifeline.